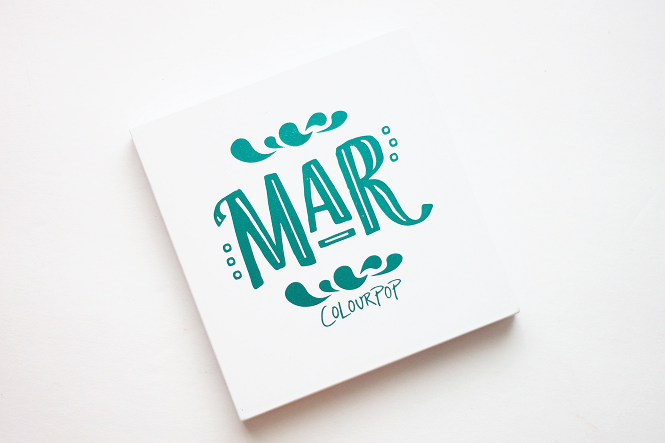 A few weeks ago ColourPop released their Col + Mar Collection for the Summer. I was really excited to see that this collection included two new eyeshadow palettes. Each palette features bold and bright eyeshadows. 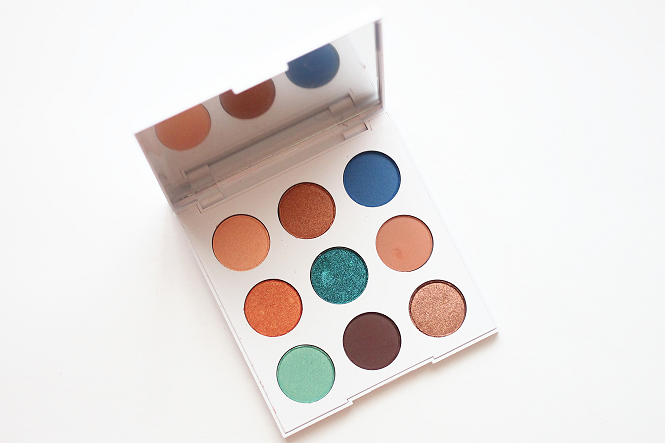 The first palette I'm sharing is the Mar Eyeshadow Palette, which includes shades of blue and bronze. Description: You’re so wavy. 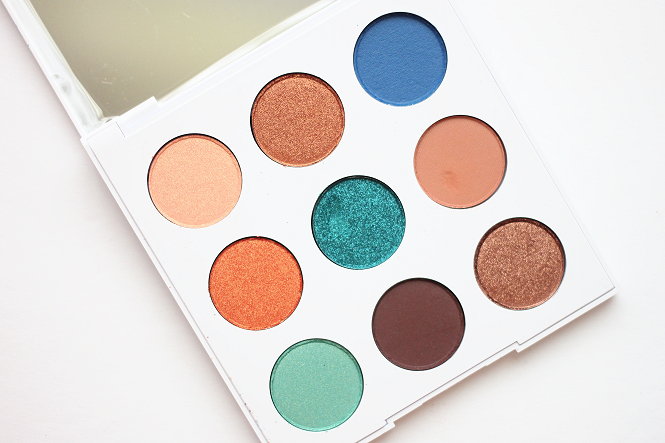 This teal and bronze 9-pan shadow palette is a colour lover’s dream! 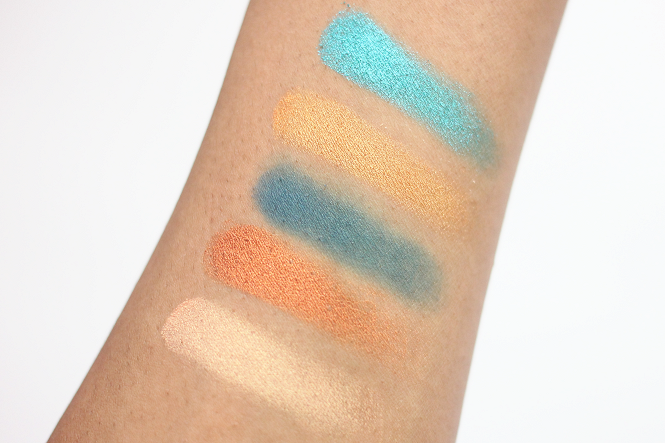 Insanely pigmented teals and wearable bronzes make this the perfect vacay palette. Slip this sleek mirrored palette in your luggage and make a splash! A close up look of the Mar Eyeshadow Palette. I love the metallics in this palette! 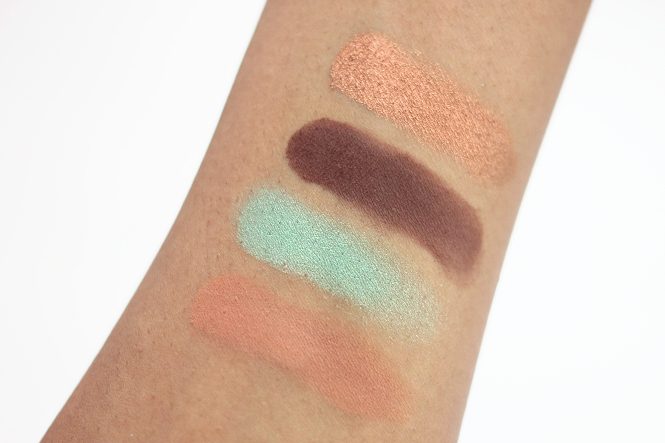 Check out swatches below of the ColourPop Mar Eyeshadow Palette! 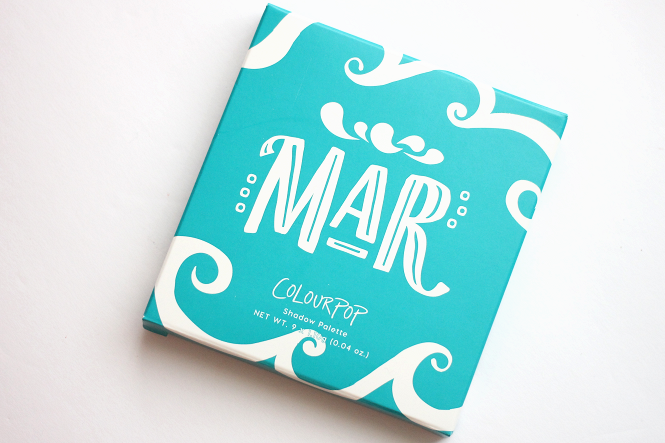 If you're a fan of blues and teals then you need to purchase this palette! It's also a great palette for those who have brown or hazel eyes too. Each shade swatched perfectly fine except for Detour. It was definitely the most patchiest shade out of the 9 eyeshadows. My favorite shades from this palette are Wild One, Gridlock, and My Way.